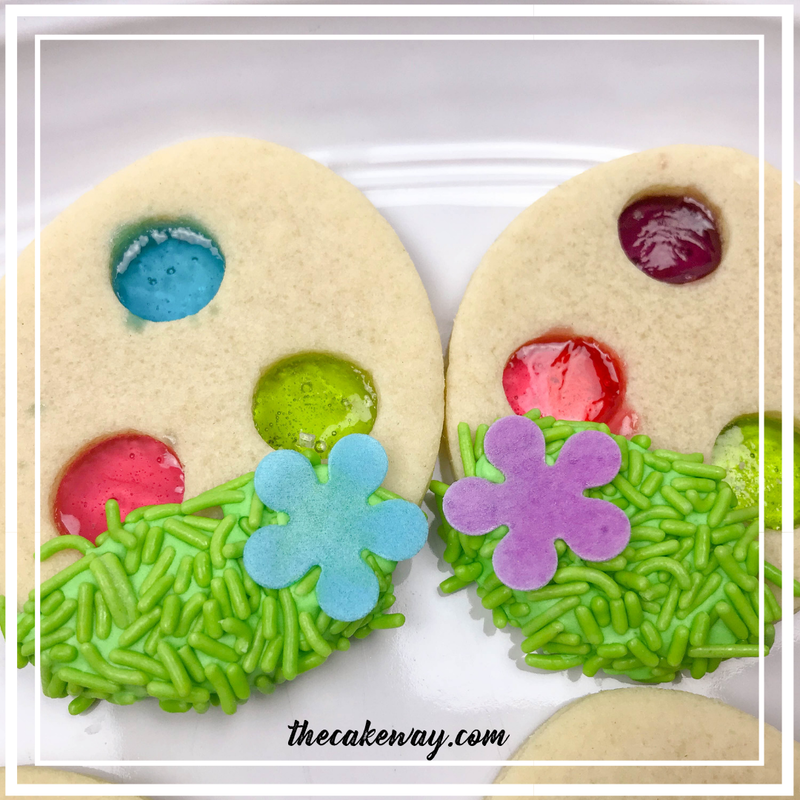 An easy way to add interest, design and extra flavor in your cookies is to create Stained Glass Easter Egg Cookies. 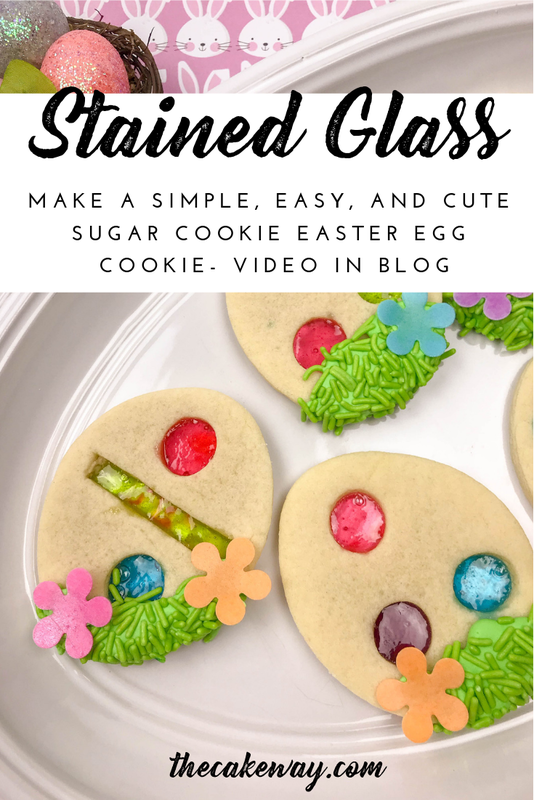 This video recipe combines jolly rancher candies with a traditional sugar cookie recipe to create a simple stained glass cookie effect. Stained glass cookies are highly popular and once you know how to make them they will be on your baking list holiday after holiday. This recipe starts with a basic sugar cookie recipe. Follow the recipe carefully to make the sugar cookie dough. I’ve included links to my favorite sugar cookie supplies and baking tools that will help you to get the most out of your baking, whether it is for this recipe or for all other recipes. Once the sugar cookie recipe is made, any cookie cutter and any design of cookie cutter can be used. Use different shaped cookie cutters and candy colors to create designs. For a variety of cookie cutters that can be used, check out this box of 101 cookie cutters. Use mini cookie cutters to get defined shapes for the cookie insides. Are you on YouTube? Do you like watching cookie decorating videos? Checkout my YouTube Channel here and be sure to like and follow me on YouTube! In a bowl, whisk together flour, salt, and baking powder and set aside. In a separate mixing bowl, cream together the butter and sugar until they are creamy and light. Into the creamed butter and sugar mixture add egg, and almond and vanilla extract and mix well. Combine flour to butter mixture a little at a time. Turnover and hand knead until the dough forms. Roll dough between layers of parchment paper and roll with a Joseph Joseph rolling pin to ¼ inch thickness. Cut out shapes with cookie cutters, a palette knife and with the back of a piping tip. Lift shaped cookies onto the baking sheet using a flat spatula to help the cookies maintain their shapes. Separate Jolly Rancher candies by color and place inside of a large gallon-sized freezer bag sandwiched between a towel. Using a meat tenderizer, crush candies. Place candy pieces in the openings of each candy. The candy pieces should fill most of the hole and create a mound on top. Bake cookies for 7 to 9 minutes or until done. Allow cookies to cool on the baking sheet for 10 minutes and transfer to a cooling rack for another 20 minutes. Store in an airtight container between layers of parchment paper. Note: Only crush Jolly Rancher candies when you are ready to use them otherwise they will stick to one another and become hardened. Also, be sure to roll the dough to a consistent ¼ inch thickness as unevenly rolled dough can cause uneven baking. Approximately one candy will be used per cookie. Use a basting brush to keep the candy fragments inside of the cookie opening. Are you on Pinterest? So am I! Pin this below and follow me on Pinterest! Let’s be pinning buddies! Here are a few Previous CakeWay Recipes that I have selected for you!